The Bureau of Reclamation awarded a $446 million contract on Sept. 20, 2018 to Malcolm International LLC, of Rancho Cordova, Calif., for construction services at Bull Lake Dam in Fremont County, Wyo. Safety of Dams construction activity began in the fall of 2018 and end in the summer of 2021. "The Bull Lake Dam spillway project is necessary to address deficiencies in the existing spillway and provide for the continued safety and functionality of Bull Lake Dam," said Carlie Ronca, Wyoming area manager. Construction activities will include the construction of a temporary access road for construction traffic; construction of cofferdams; construction of a new concrete spillway structure; removal of the existing spillway; and replacing the existing spillway with a section of earthen dam embankment. The project will be constructed under Reclamation's Safety of Dams Program, and Midvale Irrigation District will be responsible to repay Reclamation up to 15 percent of the project cost. The existing road for recreational access to Bull Lake Reservoir for tribal members and those with Wind River Indian Reservation recreational or fishing permits will not be affected by the construction. Bull Lake Dam is located in the Wind River Indian Reservation in central Wyoming. It is on Bull Lake Creek, a tributary of the Wind River. Bull Lake Dam was constructed from 1936-1938, is owned by Reclamation and is operated and maintained by Midvale Irrigation District. 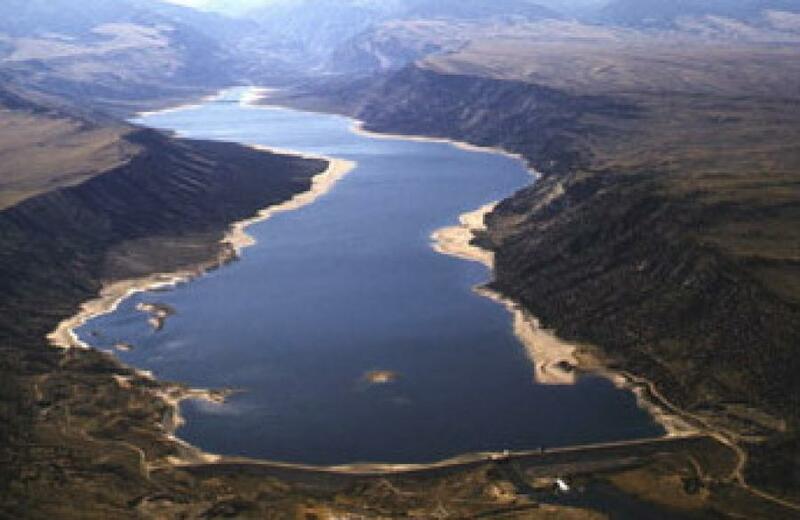 Water stored in Bull Lake provides a supplemental irrigation water supply to approximately 70,000 acres served by Midvale Irrigation District.